Our angel Kamryn Joy Woody left footprints on our hearts and went home to heaven early Saturday morning, October 27, 2018. She is deeply and forever loved and will be dearly and forever missed. She passed from this life to the arms of Jesus while at home and surrounded by the love of her family. The answer to many prayers and much joyful expectation, Kamryn Joy was born on December 13, 2017, in Chattanooga, TN to her loving parents Nathan and Christen. 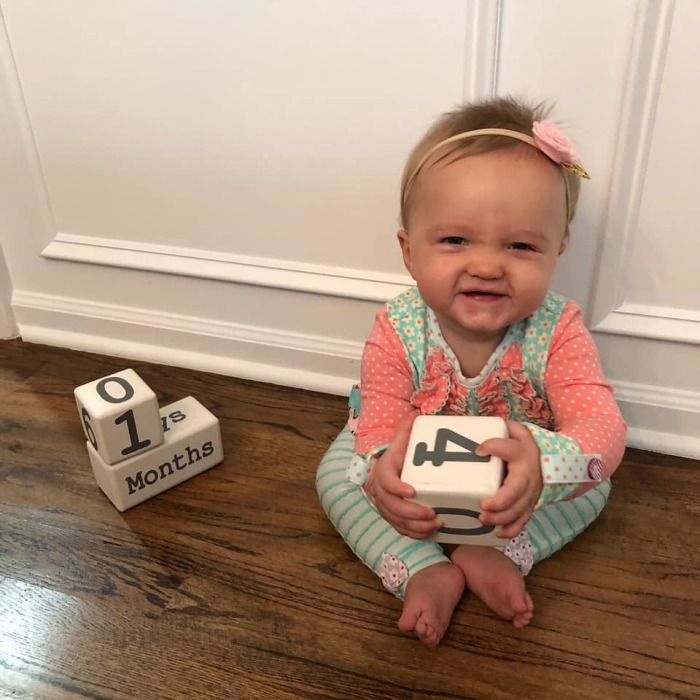 During her sweet 10 months of life, she enjoyed music and playing outside and with her toys, adored her big brother, and loved cuddles with her mommy and daddy. She was a gift of joy, a beautiful baby girl, and loved by all who met her and knew her. Kamryn is joined in heaven with her late grandmother, Sandy Brown Allen , her great-grandfather, H.Q. Evatt and great- grandmother, June Miller. Kamryn is also survived by her big brother, Keaton Woody; grandparents, Bill & Charlotte Woody, Fred & Judy Allen , Randy & Sherry Smyth; great-grandparents, James & Frances Brown; aunts & uncles, Kent & Stephanie Callison, Scott & Kara Stevenson, Ryan & Brooke Swilling, Sacha Woody, and Brennen Smyth; cousins, Abigail, Emily & Sophie Callison, Ashlynn Stevenson, Hadley & Carter Swilling, Bailee & Brody Crossen, and Beau Bailey. Services will be held Friday at 12 noon in the funeral home chapel with Dr. Sean Corcoran officiating. Burial will follow at Hamilton Memorial Gardens with Brian Bailey, Kent Callison, Scott Stevenson and Ryan Swilling serving as pallbearers. Visit www.heritagechattanooga.com to share condolences to the family ad view Kamryn’s memorial page. The family will receive friends on Friday, November 2 from 11 am until noon at Heritage Funeral Home, 7454 E. Brainerd Road.